Joshua Okundi’s five-acre farm is his classroom. A longtime schoolteacher who left his job to become a farmer in 2013, Okundi is an instructor to the constant stream of visitors who arrive at his home in Kendu, a small rural village in the western reaches of Kenya. Visitors come seeking advice, seedlings, and a glimpse at technologies that can help them succeed. Over the past two years, Okundi has exposed locals to the potential of solar-powered water pumps. 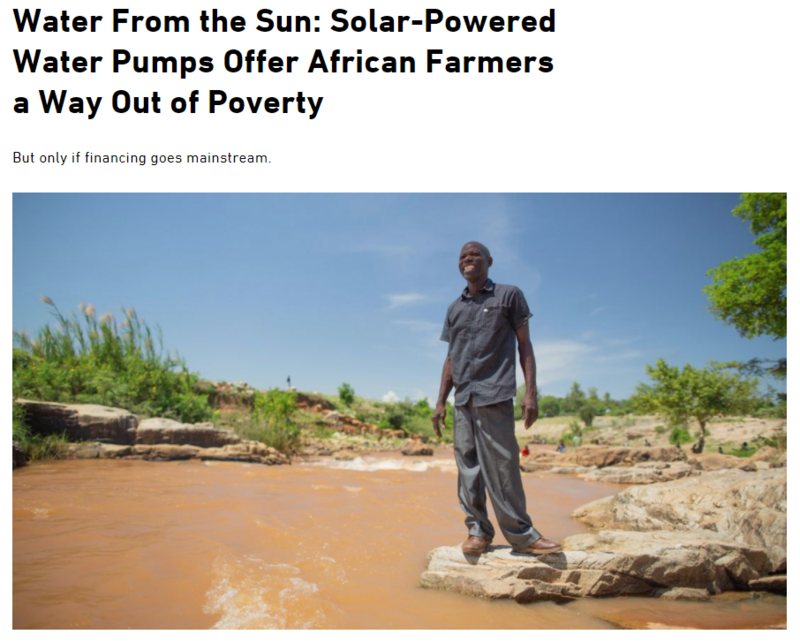 Okundi was first introduced to the technology in 2015, when a representative from the Winrock-implemented USAID Kenya Smallholder Solar Irrigation (KSSI) project brought a pump to show to a group of farmers.